EntityPlus is a mod that offers a true single player experience in the Quake III Arena videogame. The term “single player” here is used to describe an experience more akin to the single player games of Quake or Quake 2 than Quake 3’s own single player bot matches. To facilitate this, EntityPlus implements a lot of features that are strictly aimed at single player gameplay. The mod comes with an example map (.map file included), thorough documentation (in pdf format) and the sourcecode is open sourced and available through GitHub. ⇒ Follow the EntityPlus Twitter feed! In March 2011, the idea for EntityPlus was born. Initially as a simple set of additional in-game entities level designers could use to create more interesting setups in their levels, but it quickly evolved into a more single player oriented mod. 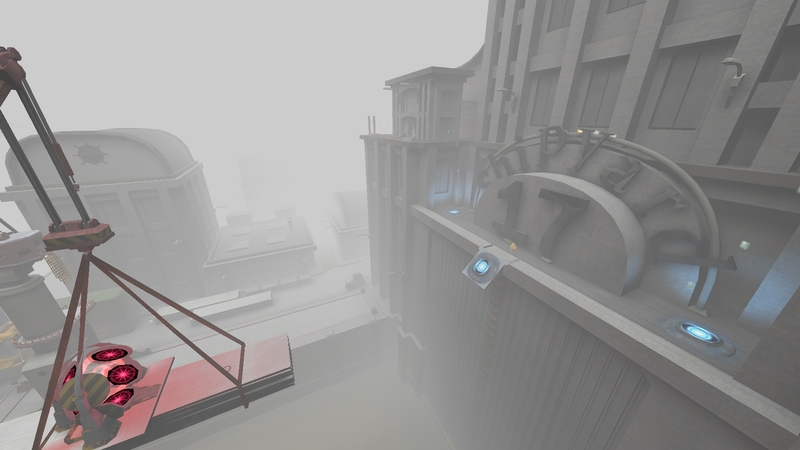 Early versions of EntityPlus allowed level designers to create fully functional single player experiences. 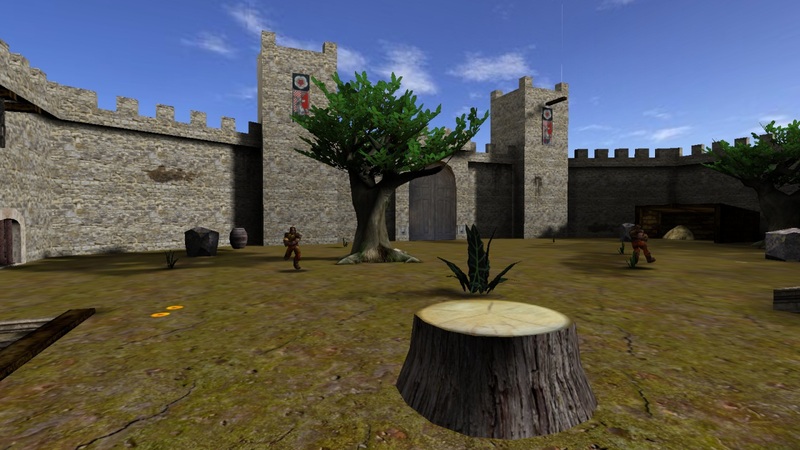 A beta version was released early September 2011 with the 1.0 release following three weeks later. The LEM community over at Quake3World quickly picked up on the mod and helped out in many ways. Coding, models, textures/skins and even sound effects were donated to the project by various people. 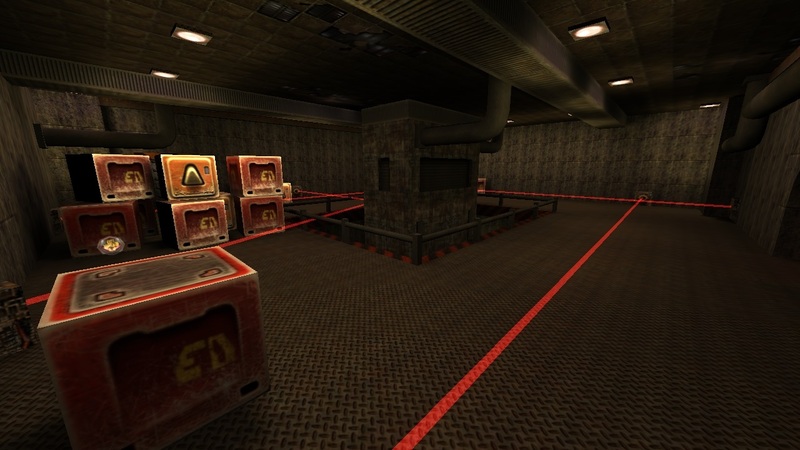 While the mod contains a very simple yet fully playable example map (a reworked version of q3dm7), the first real map was released in October 2011 by deqer called Carmack Fortress, in which you had to fight various combat robots designed by the evil Doctor Carmack. It wasn’t until December 2011 that the next map was released: Testing Procedures by Eraser. This story-driven campaign saw you traverse a set of physical and mental tests guided by an anonymous robot voice. When you make a break for escape, you have to fight your way through the enemy forces and defeat the final boss to reach safety. While the response to the mod and maps was generally positive, not many new maps were released. It wasn’t until May 2013 that Eraser released another EnityPlus map called Survival. This map isn’t backed by any storyline whatsoever. You are pitted against increasingly difficult waves of enemies that you have to defeat. The goal is to defeat as many waves as you can and score the highest number of points. Two years went by without new maps. It was Eraser again who released a very simple Duck Hunt inspired map. It came in three flavors: Duckhunt, Doom and VR. While technically identical, each version had its own distinct visual theme. Finally, in September 2015, it was Martinus who released his Shipyard 17 map. A relatively large (Team) Deathmatch map that included a special “Boss Battle Edition”, which was suitable for use with EntityPlus. The setup being similar to the Survival map. While new maps are few and far between and the flow of updates to the mod itself has considerably slowed down, it isn’t quite dead. Updates are still released from time to time, adding new features to the mix. The basic idea behind EntityPlus is that the player spawns in a level that is populated with bots that act as enemies to shoot. These level designer can placed these bots within the map (through so-called target_botspawn entities) and determine the way they look, their health, weapon loadout and a number of other properties. When playing a map, the game will keep track of your score and write the best scores to a high score table that is viewable from within the game. Points are scored by shooting enemies, getting a higher weapon accuracy, finding secret areas and other ways determinable by the level designer. It is possible to chain map files (.bsp files) together. The player will leave one map and be spawned in the next, retaining health, armor, weapon, ammo and keys picked up along the way. This allows level designers to circumvent any entity count limitations imposed by the Quake 3 engine they might run into. EntityPlus contains over 30 new entities and adds functionality to nearly 20 existing entities. If the premise of having a true single player experience in Quake 3 sounds interesting to you, then you might want to head over to the EntityPlus site at GitHub. Download the mod, pick one or more custom maps (or just check out the example map that’s included with the mod) and have a go. What’s even better is if you’re a level designer and are looking to put all of your idTech3 mapping experience into a single player level design experience that’s simple, to the point and doesn’t involve complex scripting. EntityPlus might be an interesting challenge for you. The biggest advantage of designing and building EntityPlus maps is that they never lose their entertainment value. Multiplayer maps are hampered by not getting any playtime on online servers due to not getting into the map rotations or having no players to play it with. Single player experiences never diminish because all you need is a copy of Quake 3, EntityPlus and a bit of free time. The beauty of EntityPlus is that the levels released so far only scratch the surface of what’s possible with EntityPlus. With a bit of creativity, lots of highly original maps can be created. They don’t have to be these huge and complex story-driven ordeals. Slap something simple together in an evening and see what crazy, fantastic ideas you can come up with.